Have you made your plans for Summer Vacation? It’s hard to believe that’s it’s almost here! I’m excited to share this resource of great things to do in cities all across the United States. We’ve partnered with over 60 bloggers to share our favorites. Yesterday I shared Orlando, FL and last week my favorite spots in Arizona. You’re invited to fill out our Travel Survey and share your adventures this summer! Check out the posts below for your favorite city! States are listed in alphabetical order. Are you looking for more ideas to learn about States with your child? If you’re planning a staycation this year you can also plan some virtual trips with your child to other locations. 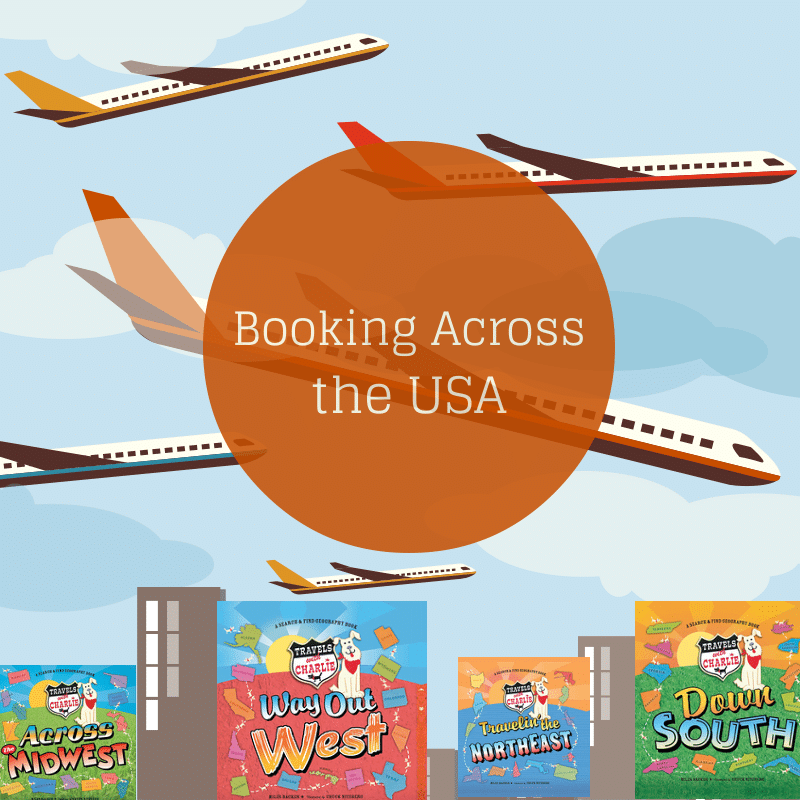 Check out our Booking Across the USA Project for resources for all 50 States. I am always looking for ways to help you with your traveling with kids and sharing them on our Traveling with Kids Pinterest Board. Plus we’ve just started a Place Pins Board that has a map of specific locations of Places to Visit Pinterest Board. Follow The Educators’ Spin On It’s board Traveling with Kids on Pinterest. I’d love to know where you hope to travel this summer. You’re invited to complete our Travel Survey. If we see some similarities in the responses we’ll share a few related posts this summer on our Blog and on our Pinterest Boards. 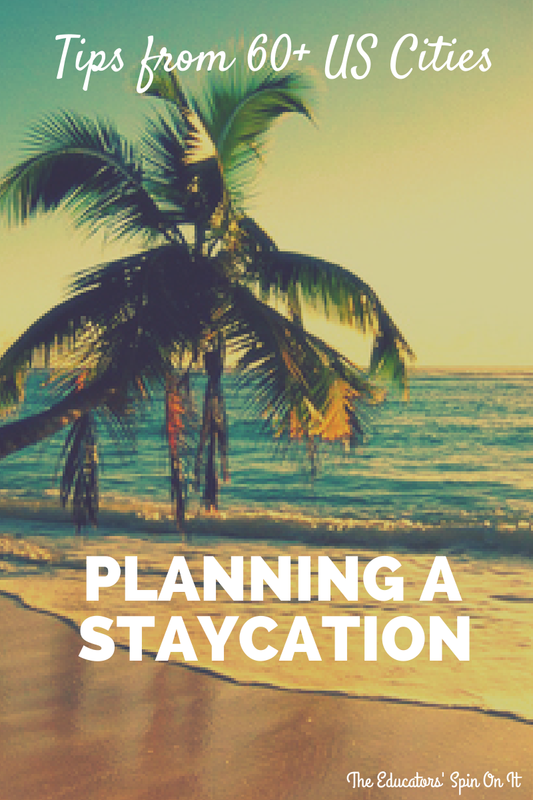 for hosting this Staycation Series.